"Hello. My name is Inigo Montoya and you killed my father, prepare to die... Or you could go fishing, that's cool too." She is a fickle creature, winter light. All in one day it can go from blinding white beneath a bluebird sky, to an overcast light-diffusing ambiance, and then on to thick wet clouds that cause a perpetual dusk/dawn feeling. If you have ever spent much time outside when the white stuff blankets the earth you know how much it can hurt the eyes, even on cloudy days. Also, anglers know how much more difficult it is to see into the water with the diffused light and reflected clouds. Winter lighting certainly tends to the extremes and can be harsh, or not really all that present during the season. 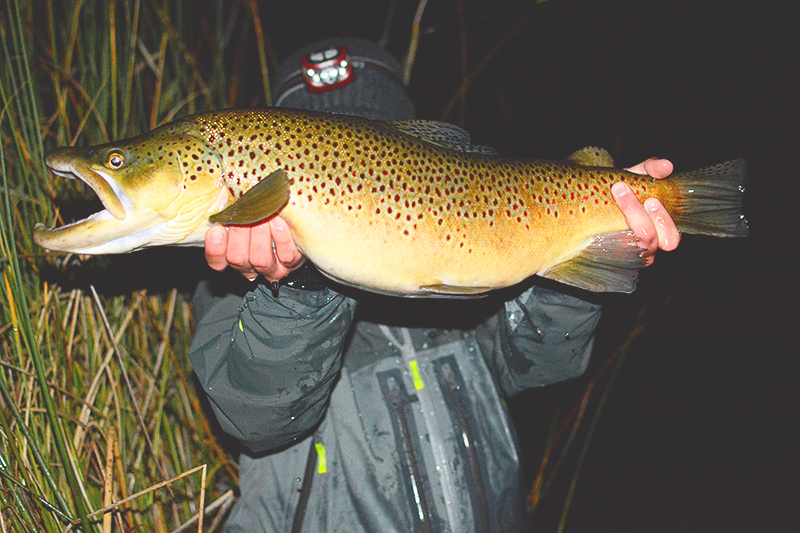 It creates a bit of a predicament for anglers (or anyone) who still wants to enjoy the out of doors throughout the chilly months. Most polarized sunglasses are too dark to wear in the morning and late afternoons. Native Eyewear started things up in 1997 and they have been producing awesome sunglasses and goggle patents since. Native appears to be a young brand in the world of anglers, but with their quality and options they are becoming more common in fishing circles. They are already a popular brand among such things as Nascar, snowboarding and skiing, BMX and mountain biking, rockclimbing, surfing, and other similar arenas. 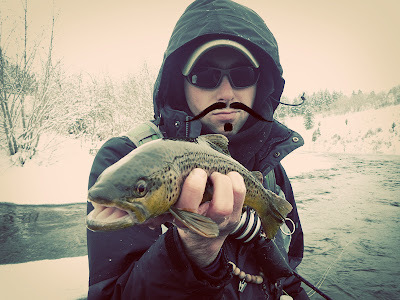 They are putting out some fantastic gear for the hipster, sport, and angler alike. Native has quite an array of frames, colors, and lenses to choose from. This review is specifically for the Andes (Copper Lens). They could not be more perfect for the winter outdoorsman. 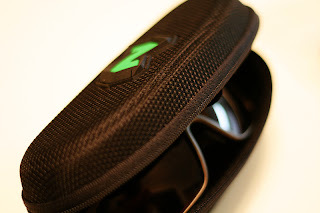 The kit comes with a zipping hard nylon case, a separate set of protective tinted lenses (non-polarized), a small decal, and explanation of their lifetime warranty. First impressions are powerful and the first thing I noticed was how light-weight the glasses are. This was a pleasant surprise for a picky wearer like myself. After prolonged use, heavy glasses have a tendency to press down on my temples and ears, resulting in a headache. Secondly I noticed the look. I don't really care much what the fish think I look like when out on the water, but polarized glasses have become an essential in my day to day travels. That being said, the sleek look of these shades was another win. 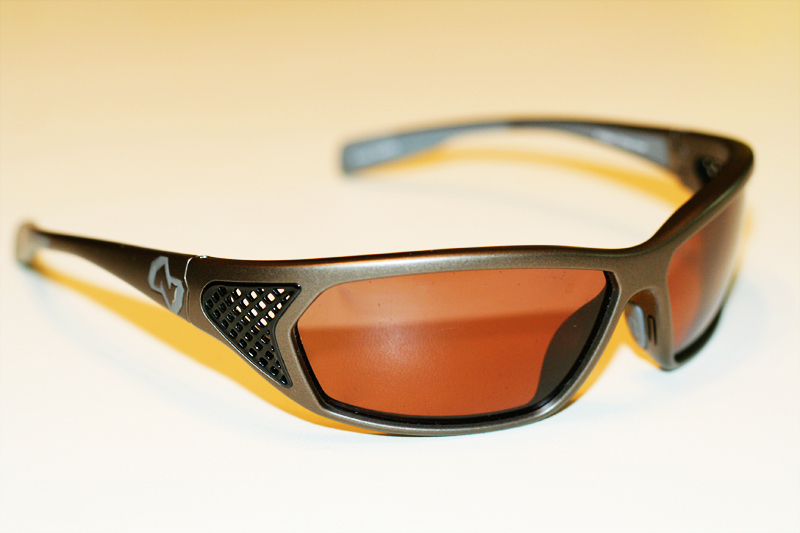 Native utilizes a highly durable thermoplastic material (Rhyno-Tuff® Air Frames) that is lightweight. They claim it is "durable enough to withstand high-velocity collisions and temperature extremes." After smacking my head on the edge of a car door (don't ask) and whacking the glasses with a heavy streamer, there is no sign of wear or breakage. I should also add that in both circumstances I was spared pain because I was wearing them. The glasses are form fitting, but not too tight, and block out extraneous light. The eargrips are comfy. I thought they would be too bulky and get in the way, but they actually keep the glasses from sliding and moving when I lean over to release a fish or tie my shoe. The vents are another plus, especially in the winter when fogging can be an issue. They don't entirely eliminate fogging, but they allow it to go away much quicker when it does occur. Will and I were modeling for each other. He was manning the camera here. The lens selection for winter and low light was perfect. The Copper Lens set has an 18% VLT (Visual Light Transmittance), which is more than any of their other polarized lenses. They are a polycarbonate material, which also adds to their light weight. These lenses dominate in low light and the copper/rose hue is killer when snow is all over. I can put these on just before the sun comes up over the hills, and don't take them off till it's almost too dark to see with the naked eye. There are some serious advantages to this when waiting till dusk to wade back across the river. I sometimes wear them inside for a bit before I realize I still have them on. They are that good with low light scenarios, and they still block glare and the sun like a boss. Another sign of well made lenses is the lack of nausea when wearing them for any length of time. Cheap glasses can start to make you sick real quick if you are looking anywhere but straight forward through them. 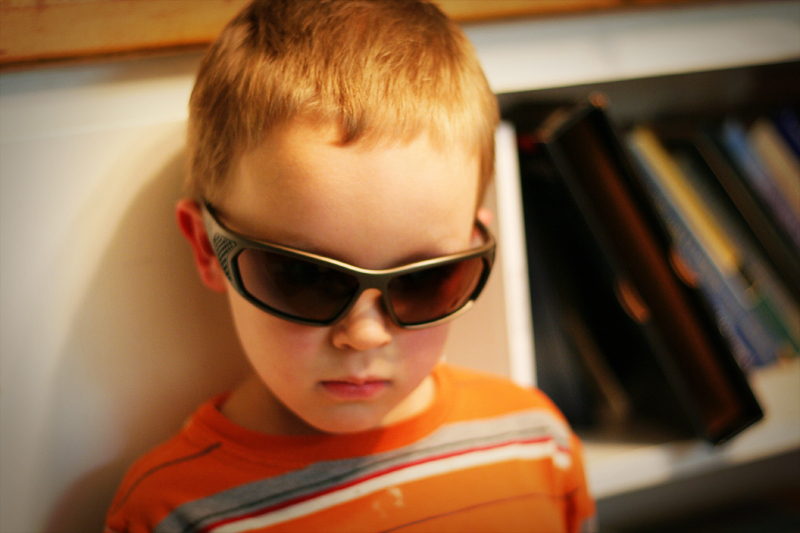 Good shades should not affect your vision, and be easily forgotten when being worn. These meet that standard quite nicely. The frames are made to allow interchangeable lenses, and though I don't see myself ever utilizing the feature, it is still nice to know I can if I wanted to. That being said, the lenses are not loose or ill-fitted to the lens. If someone did not know they are interchangeable beforehand, there are no obvious signs of it, meaning the lenses are snug as a bug for all intents and purposes. Will's turn to model. Sporting them like a champ. Lastly, though it is not the least in importance, is Natives lifetime warranty. It's a pretty sweet deal. If there is a manufacturers defect that caused the problem, and it is within the first year, you simply send them back and they will replace them. After a year, or if the breakage was not from a manufacturers defect, you can simply send in the sad shades with a processing fee of $30 and they will hook you up with a new pair. Can't argue with that. Overall thoughts... after a decent amount of fishing trips and everyday use... I'm sold on them. I don't go anywhere without them and curse myself when they are forgotten at home. The Andes retail at $129, and I am sure glad to have them. 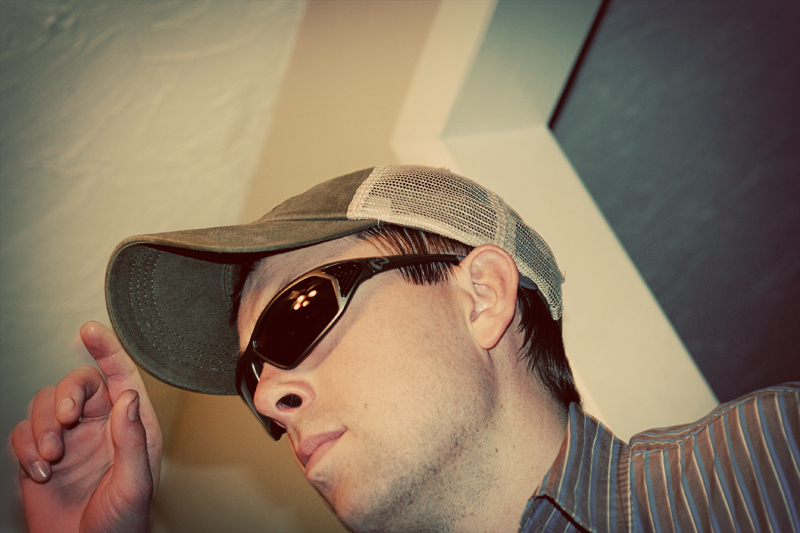 Aside from a rod, reel, line, and flies, a good pair of polarized glasses are almost a necessity. Get sun burned eyes once (which is more likely to happen in the winter), and you will quickly start looking around for a good set of shades. They are useful, increase an anglers safety, and did I mention these particular ones are killer in low light? Now I just need to look into some other Natives with a darker lens for the coming bright summer, or maybe just a different set of lenses to switch out. I think we'll be seeing more and more of Native in the angling world as time passes. Quality gear can be hard to find, and sometimes takes a bit to gain its due credit. So, if you haven't already, check these guys out, you won't regret it.